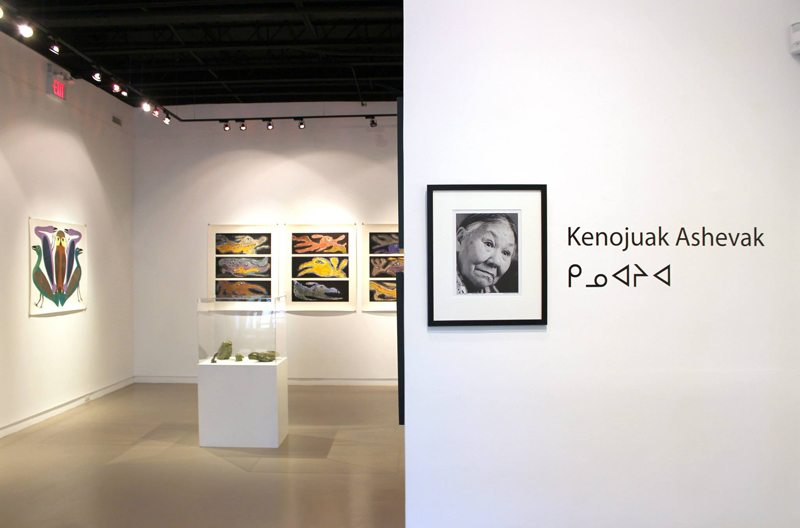 On January 8, 2013, Kenojuak Ashevak passed away at the age of 85. Both nationally and internationally, she remains known and respected as one of the greatest Canadian artists of the 20th and 21st century. From her first drawings, done in the late 1950’s, to those completed shortly before her death, she has dazzled audiences with her joyous and brilliant works. A pioneer and a visionary, Ashevak inspired many generations of artists who followed her lead. She defined the role of an artist, both for herself and for Cape Dorset artists, through passion, perseverance and hard work. Her beautiful creations depict a love of her land and respect for the old ways. Ashevak’s signature style and bold, colourful artwork was well-awarded; she was appointed to the Order of Canada in 1967, elected a member of the Royal Canadian Academy of Arts in 1974, and received the Governor General’s Award in 2008. Additionally, three of her prints (‘Enchanted Owl,’ ‘Return of the Sun’, and ‘The Owl’) were replicated on Canadian stamps. However, the artist was arguably most famous for her contributions to the Cape Dorset Print Collection, ultimately culminating with seven works in the 2013 print release.